The internet is full of videos and pictures of cute baby animals. We could spend our entire day on sites like Cute Overload, getting our fill of adorableness. Or, we could take advantage of special places and times in nature, and see some cute baby animals in real time. And among the cutest of animals, are baby birds – especially owls. 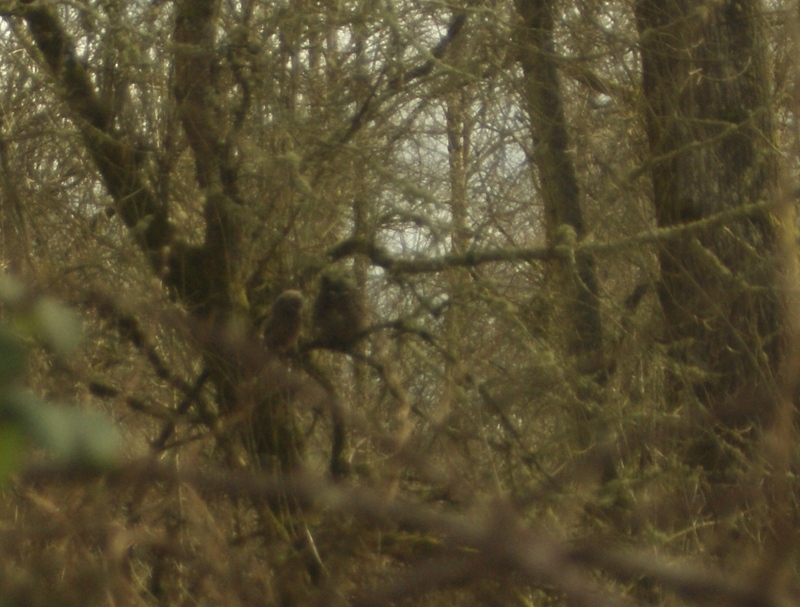 Last year a friend of mine posted photos on Facebook of baby Great Horned Owls just before they fledged at the Nisqually National Wildlife Refuge. We didn’t get down there to see them in time, though, so this year when my friend posted more baby owls, I knew we had to jump on the opportunity. We only had part of the day on Friday to go, but we were able to meet my sister-in-law and niece for a couple of hours. We got really lucky, too – when we asked the Rangers at the front desk at the Learning Center about the owls, they told me that they had just fledged the day before, but were still staying close to the nest area on branches and shrubs. The babies were still visible, were close to the trail, and we had good weather to see them. We enjoyed our walk on the boardwalk through the wetland to the far end of the loop. We saw several song birds and water birds: song sparrows, black-capped chickadees, mallards, and ring-necked ducks. We also heard frogs croaking; they sounded like those wooden toys that you can scrape with a wooden stick. It was pretty obvious when we got to where the owls were – other photographers were set up to watch them already. We were thrilled to have a chance to see two of the three babies, and one of the adults sat nearby to keep an eye on them. We could clearly see the “ear tufts” that give the owls their name. The babies still had fluff covering much of their bodies, but their adult feathers were growing in. 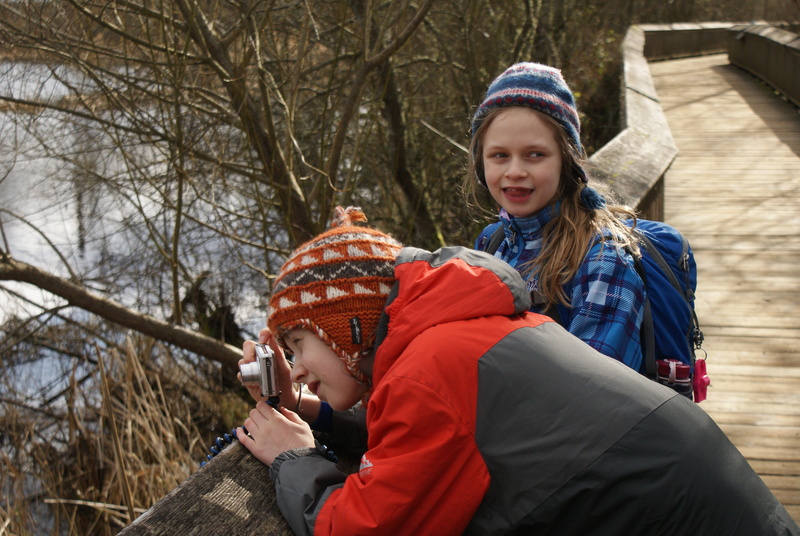 We watched them through our binoculars and tried to take some photos with our cameras. (Once again I was wishing for a better camera…) Mostly we just enjoyed the novelty and privilege of seeing owls in the wild. After we had our fill of babies, we walked over to the picnic tables and had a snack. We also went out to the observation platform behind the twin barns before we headed back to the cars. 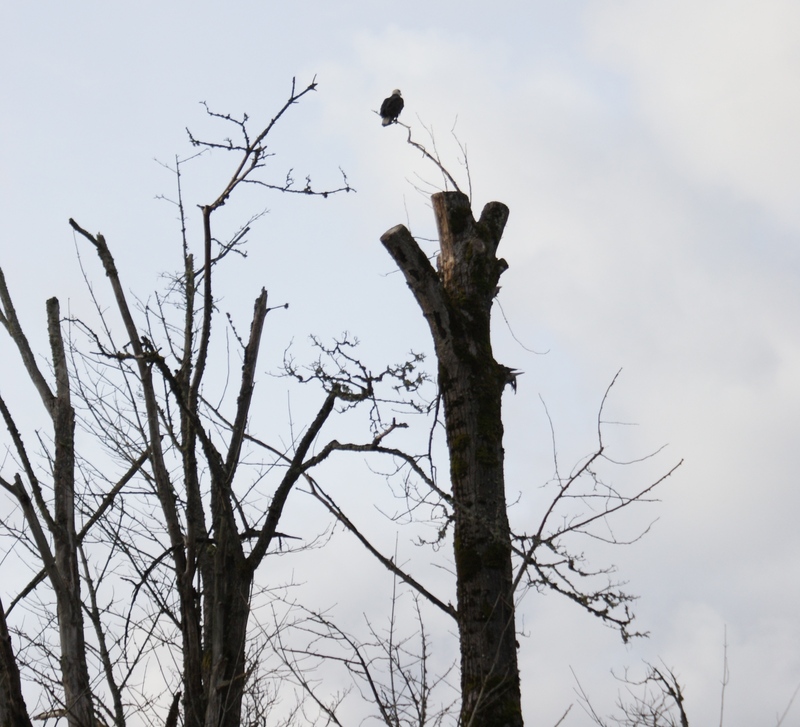 Back at the education center, there was a bald eagle in a large snag, and we thrilled to observe it so closely. It was the last of probably 5 or 6 eagles that we had seen that day. We saw many other raptors – mostly red-tailed hawks along the freeway. It was a great day for birding and just for getting some fresh air. The next day Gabriel said he was glad we had gotten outside for the afternoon. 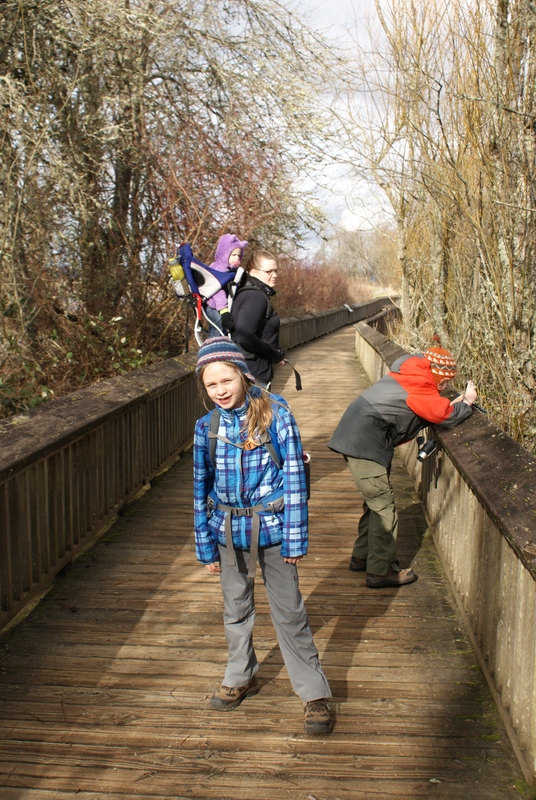 It had been one of those hurried trips, and we spent more time driving in traffic than we did birding, but I’m grateful my kids are aware of their need for nature, and appreciate the effort I put into making sure we get out as much as possible. So the next time we see fuzzy baby owls on the web, we’ll have a real-life experience to connect to it, and we’ll have a richer understanding of life. The baby owls will be learning to fly, and will be dispersing throughout the habitat in the next few weeks. 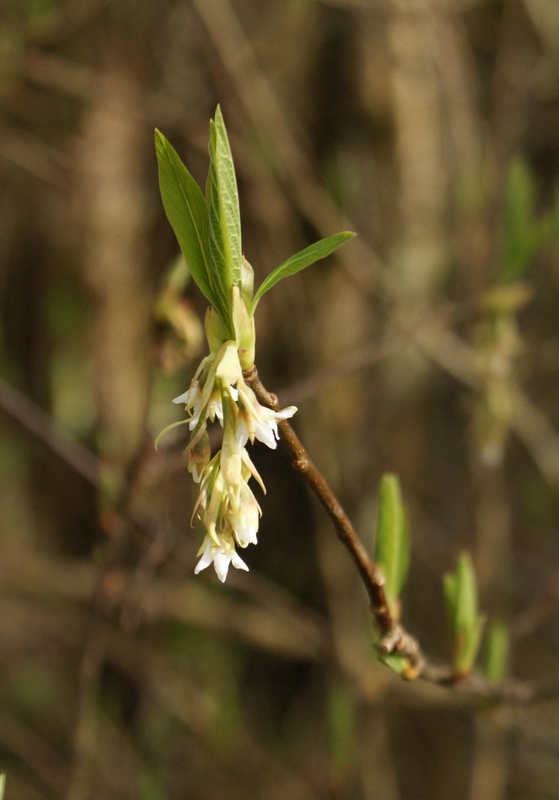 They won’t be as visible as they have been, but you might get lucky and see one of them! There are plenty of other birds to see, as well. I hope you’ll let me know if you make a trip down there. 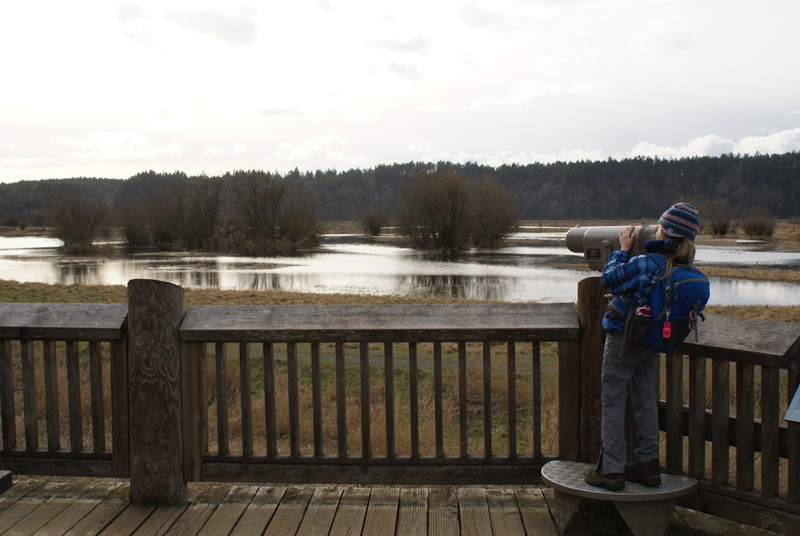 I might have missed this, but how far it the Nisqually Refuge from Seattle-does it take long to get there? Hi Terumi! It takes me usually an hour and 15 minutes to an hour and a half to get there from my home in Lynnwood. 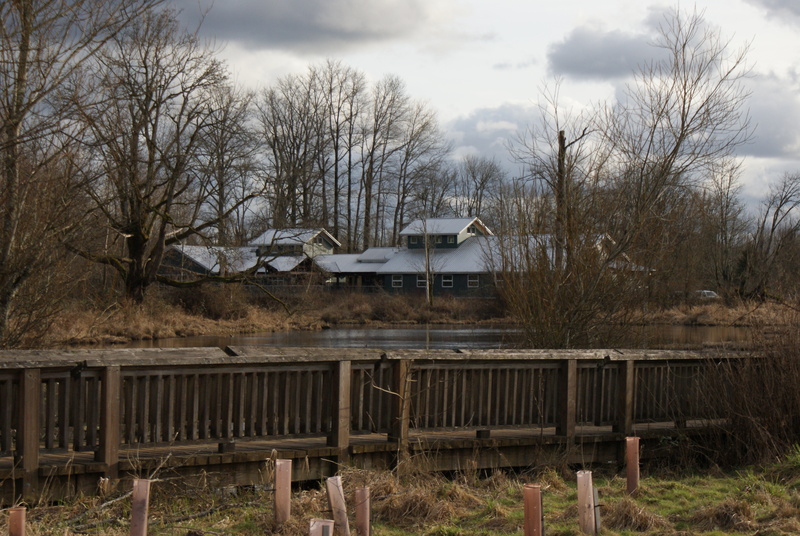 It is along I-5, where the freeway dips down between Ft. Lewis and Olympia. The day we went, we had really bad traffic on the way home, so you’ll want to plan your outing better than we did.